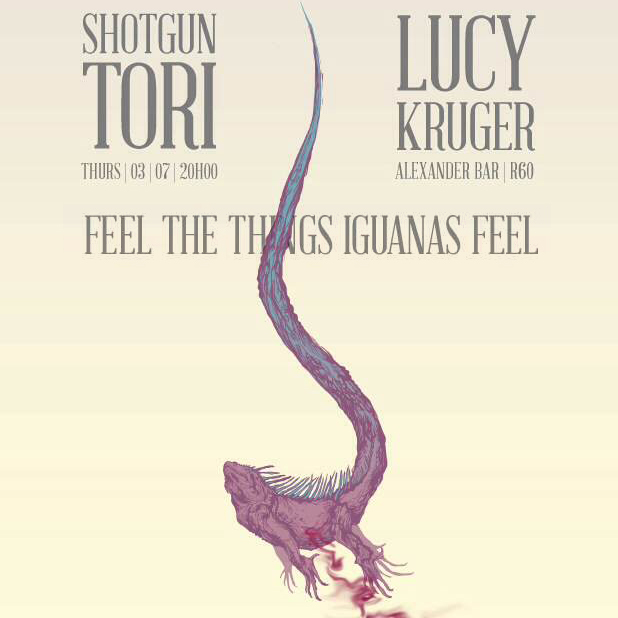 Alternative folk artists Shotgun Tori and Lucy Kruger & the Lost Boys team up to bring you a double bill of music that will soothe your savage beast. It has been close to two years since the release of Lucy’s debut album and her emergence on the South African music scene. The growth in these two years, due to relentless touring and collaborations with various artists, has resulted in a new avenue for the 25 year old - one of colourful soundscapes, dreamy melodies and primal rhythms, while still staying true to her roots of acoustic folk and her honest way with words. The makings of her band, The Lost Boys, started with stripped down acoustic shows at the 2013 National Arts Festival, where Lucas Swart and Andre Leo joined her on guitar. The musicians have given Lucy the space to further explore what music can sound and feel like. It brings a greater subtlety and a greater violence to the songs.